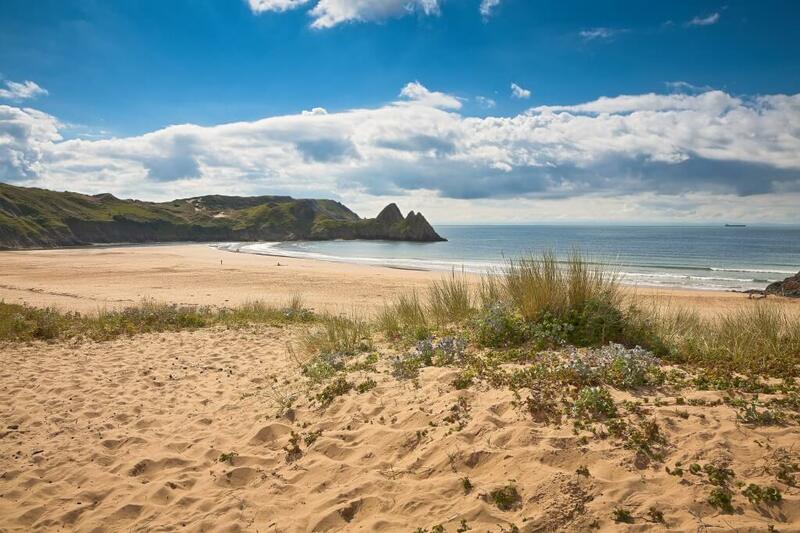 There are many beautiful beaches to visit on the Gower Peninsula in addition to the impressive sweep of Swansea bay. On larger devices you may wish to visit the interactive map of the area. Below is a brief description of the better known beaches with links to our relevant Pinterest boards to give you a flavour of what to expect. 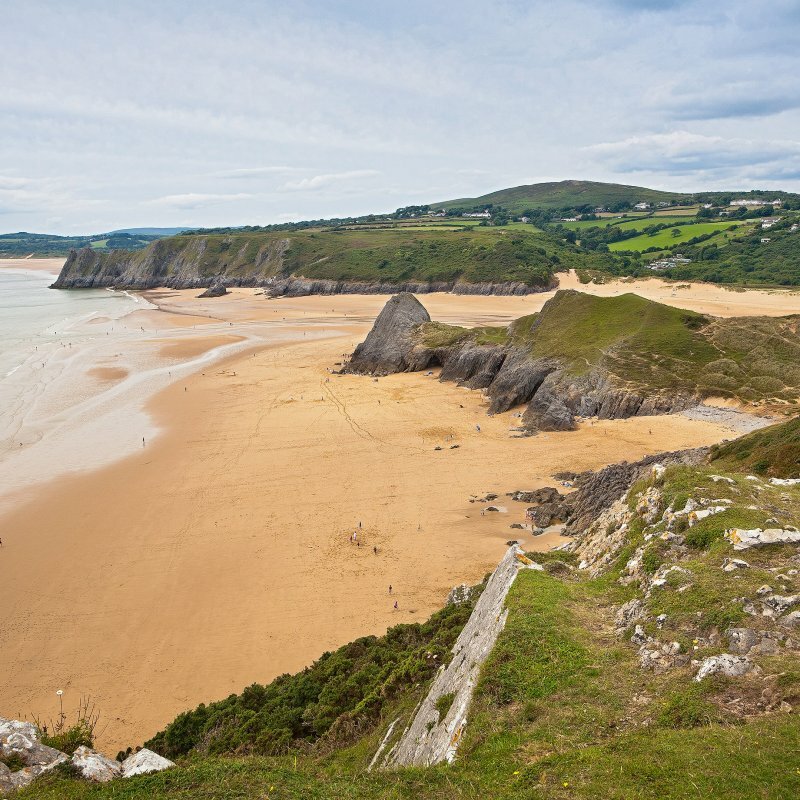 Collecting Gower beaches can become a full time occupation and a number of factors will affect your choice. Let us know your favourite! The most well known and written about are the long sandy beaches of South Gower, the most famous of which must surely be Rhossili. 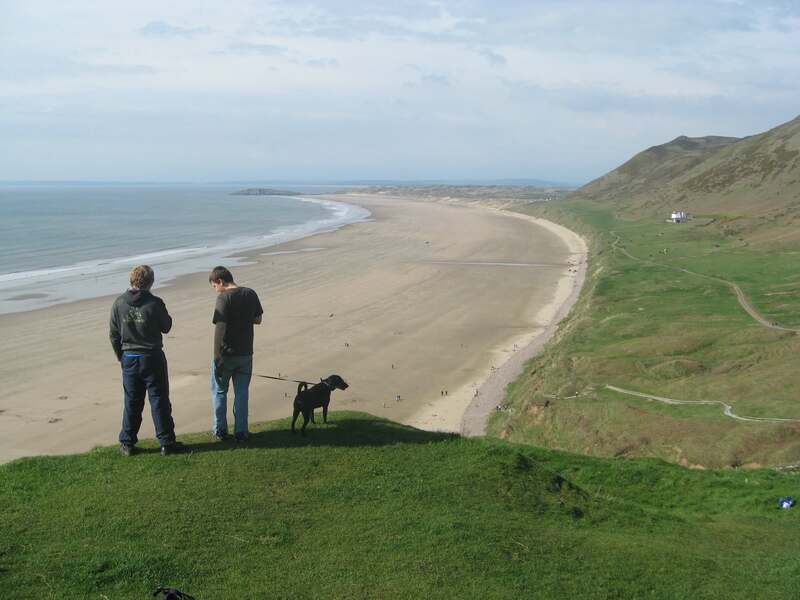 If you prefer to reach your beach without a steep descent and return journey then a quick look at the map will show you that Llangennith provides a more level access point through the dunes and either route is well worth it for the walk along the shoreline with Rhossili Downs as a backdrop. To experience the stunning vistas from the higher vantage point of Rhossili, you could always visit on another day and enjoy a daily special from the menu or a cream tea at the Bay Bistro and Coffee House. They surely must boast one of the best views on the Gower and provide a great spot to watch the Sun go down during an Autumn or Spring break. Three Cliffs also provides an iconic image, recognisable from many points along the Gower coast and a must for budding photographers. Again you need to make a little effort to experience the soft sands and meandering river in person, but there are viewpoints along the road, and a short, relatively flat walk from the National Trust car park at Parkmill will take you to a seat with a great view of the cliffs after which the beach is named (you can also descend to the beach from here). Whilst you are at Parkmill, take advantage of the Three Cliffs Coffee Shop in the village for a light snack or a delicious cake. Visiting for lunch was our Christmas Eve treat when we lived in the area, and we have many happy memories of both the meal and the walk along the cliffs. Happy days! 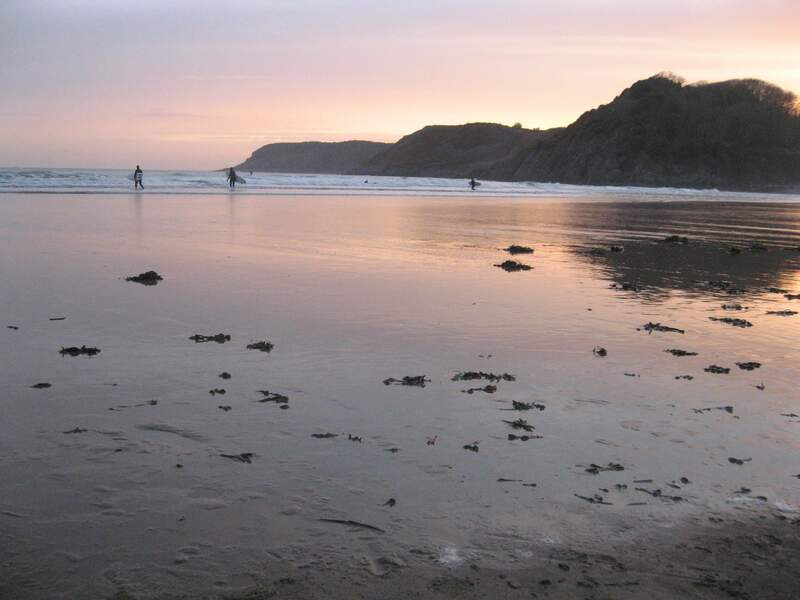 If you like to set up home on the beach or are packing a number of small children then you will enjoy the convenience of Caswell Bay, our closest beach. Again our son’s childhood is scattered with happy memories of visits here at all times of year, and from an adult perspective the mini coves around the edge of the beach, which often sport their own personal pools as the tide goes out are a godsend for setting up home. Numerous opportunities for the budding civil engineer to develop complex dam systems and for the budding artist to develop sand art on a grand scale (and you can view it later from the coast path which climbs from the back of the beach). Oxwich Bay also has easy access to the beach area and there is a slipway from which to launch boats. 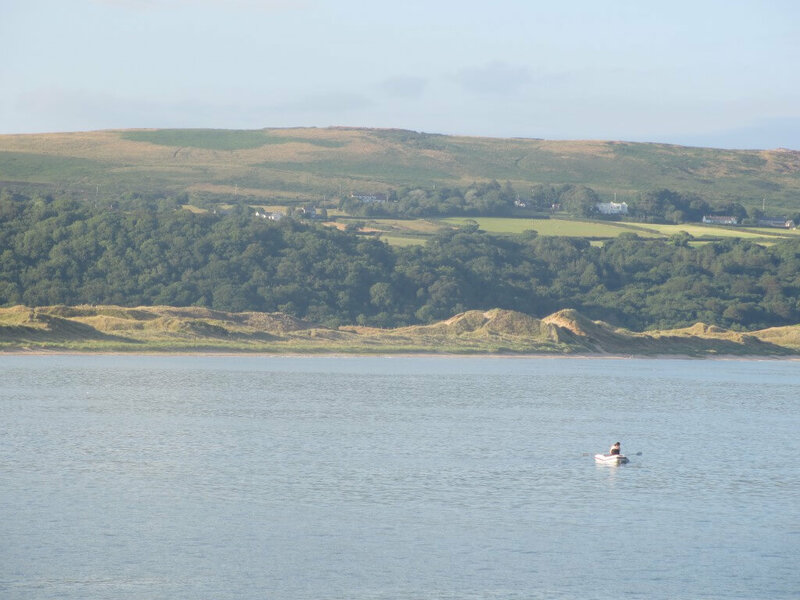 If you feel like getting out on the water there are a number of options for craft hire at Oxwich Watersports. Whether you enjoy the excitement of a power boat, or the calm pleasures of a family pedalo they will meet your needs. 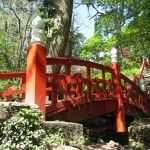 There are also options for coasteering and windsurfing sessions if you feel like burning off some of those ice creams! 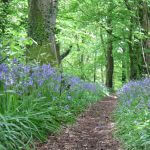 There is a nice walk through the woods to Oxwich Church in the winter and some excellent rock pooling at low tide.